The US labor market remained hot in June. Employers added 213,000 new jobs, while May’s gain was revised up to 244,000 from 223,000. Gains in June were broad based, with most industries adding jobs over the month. The unemployment rate ticked up to 4.0%; however, the upward movement was due to a 0.2 percentage point increase in the labor force participation rate. Meanwhile, average hourly earnings increased 0.2% for the month and 2.7% on a year-on-year basis. Activity in the US factory sector remained strong in June as the ISM manufacturing index increased to 60.2. The production and employment indices displayed solid gains, further evidence that Q2 GDP is on track for above 4.0% growth. There was also little evidence of tariffs having an effect on the manufacturing sector in June. The new orders index fell slightly for the month; however, it remains elevated, with 16 of the 18 indices reporting growth in new orders. US factory orders also increased 0.4 in May. Nondurable goods orders accounted for much of the gain and jumped 1.1%. Core capital goods orders were also revised up to a 0.3% gain from an initially reported decline. While factory orders in May were stronger than expected, equipment spending has fallen below the double-digit pace registered in the second half of 2017. Activity outside of the US manufacturing sector also picked up in June, as the ISM non-manufacturing index expanded to 59.1. New orders increased, while current business activity also strengthened. Supplier delivery times and backlogs moderated somewhat in June, but capacity constraints appear to remain in place. The prices paid index also came in above 60 for the sixth consecutive month. Construction spending increased 0.4% in May, falling slightly short of expectations. However, spending remains on solid footing and is up 4.3% year-to-date through May. The monthly gain was due to a 0.8% increase in residential expenditures, as multifamily, single-family and improvement spending all increased in May. Meanwhile, nonresidential outlays grew 0.1%, with public sector spending rising 0.7% and private spending falling 0.3%. The US trade balance narrowed to $43.1 billion in May. Exports looked to have jumped in anticipation of new tariffs and increased 1.9%. Imports also grew 0.4% for the month. June new car sales continued the theme of strong US demand. At 17.4 million units, car sales were above expectations of 17 million units, but still well below the 18 million unit pace from last June. The current pace of sales is largely in line with fundamentals, and tightening credit standards should continue to contain any further upside. Effective last week, the US has imposed a 25.0% tariff on $34 billion of annual Chinese imports of industrial machinery, aerospace, and transportation goods. China has retaliated in kind, largely against US agricultural products, vehicles, and aquatic products. Another $16 billion in goods are expected to be targeted by tariffs by both sides in the coming weeks. Newly released FOMC minutes reaffirmed another two rate hikes for the remainder of 2018 as the Fed saw gradual rate hikes as being consistent with a healthy US economy with strong labour market conditions and inflation nearing its 2.0% symmetric target. The minutes highlighted trade policy risk as well with participants seeing uncertainties over tariff having potential impact on business spending. US stocks were volatile but rose for the holiday-shortened week. Trading volumes were predictably low, especially on the two days surrounding the July 4 holiday (markets closed early on Tuesday). Continuing the pattern of recent months, the technology-heavy Nasdaq Composite Index and the smaller-cap benchmarks outperformed. Health care stocks were particularly strong within the S&P 500 Index, while financials shares lagged. The investment-grade corporate bond market also experienced muted trading volumes during the holiday-shortened week. However, with the primary calendar dormant, dealer inventories started to decline. New issuance volume in the investment-grade market is expected to be light in July. The high yield bond market was very quiet with no new deals pricing. Domestic crude oil surpassing $75 per barrel for the first time since 2014 supported the performance of the important energy segment. This week will see a relatively lighter data flow for the US with the June consumer price index being the main watch for the week. The preceding release of producer prices will give an earlier gauge and CPI growth is expected to come in at 2.9% year-on-year (versus 2.8% in May) as higher prices of raw materials and wages are expected to lead to more cost push inflation. European equities ended the week mixed as trade talk continued to dominate market sentiment. Markets began the week in negative territory as President Trump threatened withdrawal from the World Trade Organisation and emphasised plans that his next tariffs would likely target automobiles. The European Union (EU) countered with threats to levy measures on nearly $300 billion of US goods. Banking, mining, oil, and automotive shares traded in negative territory early in the week before gaining ground after trade tensions eased following a positive reception from lobbying efforts and proposals for the EU and the US to mutually lower tariffs. Eurozone bond yields saw only modest absolute changes, with core yields moving slightly lower amid trade war concerns. The German yield curve flattened due to reports that the ECB may buy more longer-dated bonds next year to control Eurozone borrowing costs. In Europe the main focus this week will be the May industrial production for Eurozone and the UK respectively. Some uptick is possible in the UK industrial output following a monthly 0.8% plunge in April as higher manufacturing output is expected to be offset by lower electricity production – last May was reported to be warmest ever recorded. Eurozone industrial output is set to improve slightly, despite the generally mixed data across the major economies. British productivity contracted at the fastest pace in a year in early 2018, reversing some of the gains made last year and highlighting a long-standing problem in Britain’s economy, There were also signs of the kind of inflation pressure that the Bank of England is expected to douse by raising interest rates. Productivity in Britain has stagnated since the global financial crisis, even more than in most other advanced economies, and has played a key role in squeezing Britons’ living standards. British house price growth cooled in annual terms to a four-month low in June, as expected. Prices rose 1.8% in the three months to June compared with a year ago, matching the consensus in a Reuters poll of economists and compared with a 1.9% rise in May. In June alone, house prices rose 0.3%, also as expected, after a 1.7% jump in May. 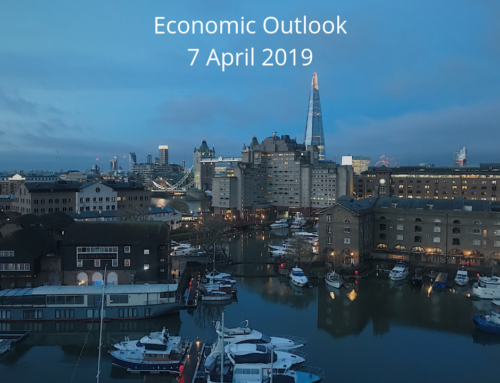 Bank of England Governor Mark Carney spoke on Thursday about “greater confidence” in the UK’s economy following recent data that showed stronger growth in the UK services sector. According to the widely followed IHS Markit services purchasing managers’ index (PMI), the growth in services (which accounts for about three-quarters of the British economy) is a signal that the UK economy is rebounding. The pound strengthened against the US dollar following the upbeat news, while gilts were broadly flat for the week. The National Audit Office, a UK government-spending watchdog, warned that the UK faced significant challenges to implement critical cross-border regulations by March, when it is scheduled to exit the EU. Prime Minister Theresa May and her cabinet met at the end of the week to discuss Brexit issues. Banks have waited until the last minute to secure post-Brexit ‘passporting‘ privileges, which enables financial firms in the UK to sell their services across the EU. Just 20 out of more than 100 bankers met a European Central Bank (ECB) end-of-June deadline to apply for a license to operate in the EU after March 2019. The Chinese manufacturing PMI from Markit fell slightly in June to 51.0 from 51.1 in May. The official manufacturing PMI fell from 51.9 to 51.5 following an increase of similar size the month before. Both indicators were slightly weaker than expected by consensus in June. The June readings confirm that China’s growth is now slowing gradually, as also signalled by the activity indicators for May published two weeks ago. The sub-index for new export orders of both indicators fell below the 50 threshold, indicating that the trade war is starting to hurt sentiment among Chinese exporters. Regarding the tariffs war between US and China, the main risk is that both the US and China may end up locked into a cycle of escalation or retaliation, with neither side willing to back down. While the current dispute has several potential outcomes, it appears as though each side is trying to establish mutual positions and probe the other’s weaknesses. Ultimately, the goal of the US is a negotiated deal; based on this view, the current escalation is likely an attempt to force China into putting its industrial policy and technology issues on the table, rather than seeking a full-blown trade war. China’s main stock indexes extended a stretch of weekly losses as trade tensions with the US ratcheted up. For the week, the benchmark Shanghai Composite Index shed 3.5% for its seventh straight down week, while the large-cap CSI300 Index fell 4.2%, its fifth weekly decline. Friday’s decline pushed the Shanghai Composite Index deeper into bear market territory, off nearly 23% from its January high. Sources: Wells Fargo, TD Economics, T. Rowe Price, Reuters, HongLeong Bank.